Do you have the energy, enthusiasm and drive to make a real difference to your local area? If you’re reading this then you’ve already started on the journey! Take your volunteering to the next level by becoming a Thames21 Badged Leader and running your own Badged Group. 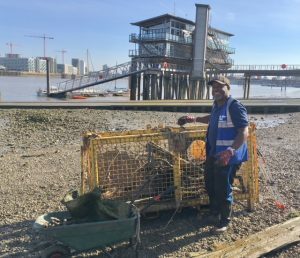 Once you’ve completed our Leading a Waterway Cleanup training course you can be ‘badged’ by Thames21 to plan and run your own waterway improvement events and activities with our support. Being badged means that events you organise are covered under Thames21’s Public Liability Insurance (subject to you following Thames21’s events protocol). It also means that we can loan you kit for some events and that Thames21 will pay for First Aid training for you. We have approximately 20 Badged Groups carrying out amazing work all across greater London! The possibilities for Badged Groups are endless and there is no one right way for a Badged Group to operate: some of our groups run large annual cleanup events every spring or summer. 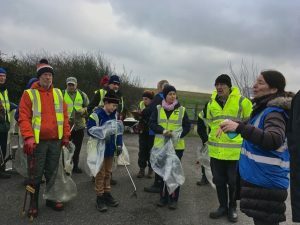 Others run smaller monthly litter picking or gardening events. 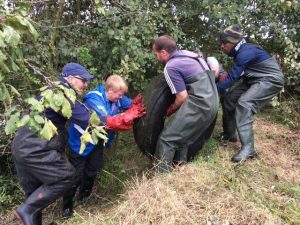 Some groups have successfully received grant funding to purchase their own kit, organise community days or implement larger projects such as installing floating planters in their local waterway stretch! We want to encourage and support a network of active groups of people from across London who share the same passion about caring for our waterways. And here are some more of our Badged Groups. Check out their good works!